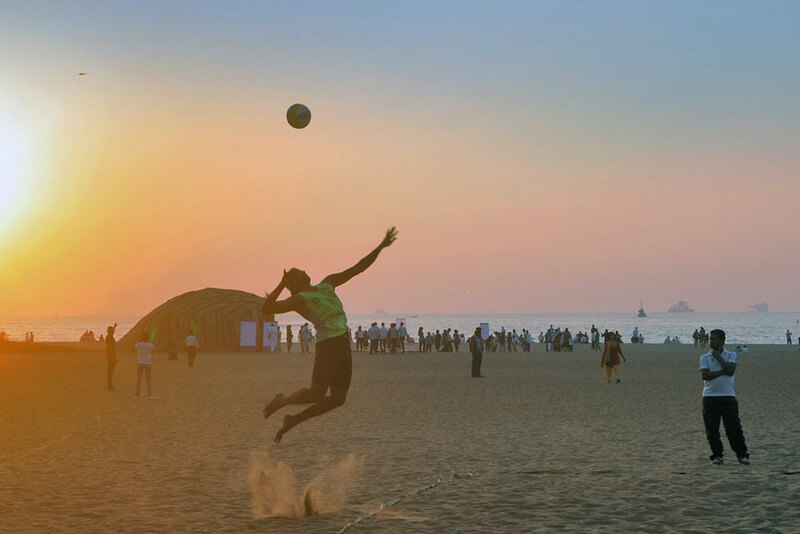 Most of the installations were created at Miramar beach in Goa, which is one of the tourist attractions. 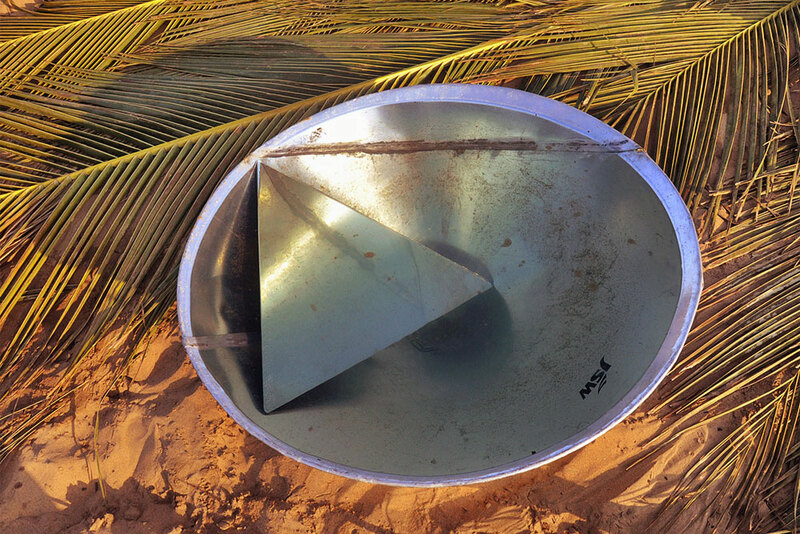 Triangle shaped mirror and conical huge vase containing water has been used as a part of the installation. The angle of the mirror in the water contained vase has to be changed according to the moves of sun. The spectacular spectrum of rainbow appears on the walls of hut. 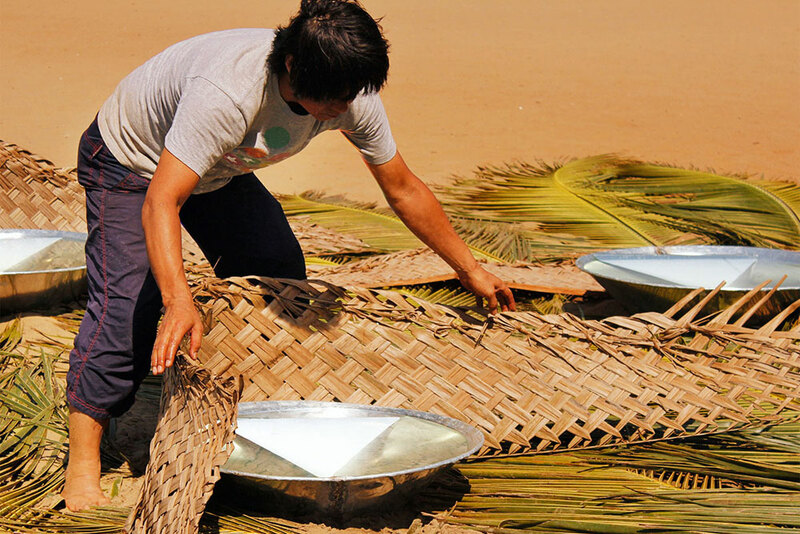 To achieve final result more effectively the artist has kept more than eight mirrors and vases containing water. 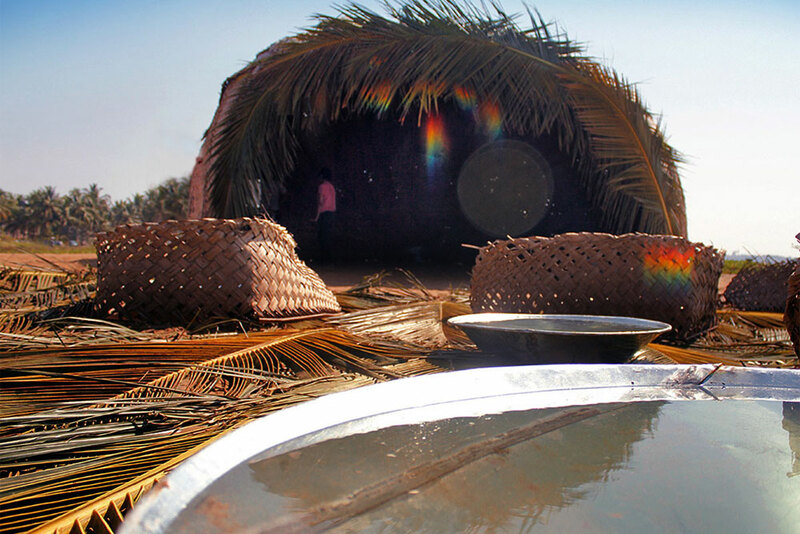 The physics of reflection and refraction successfully made through refection of light by water medium and its refraction appears as spectrum of rainbow on the hut walls. The angle of the mirror in the water contained vase has to be changed according to the rotation of sun. 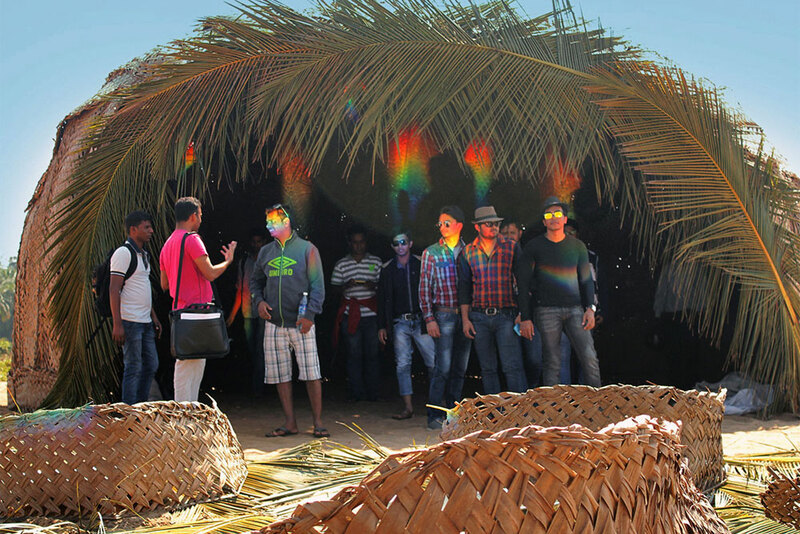 It was one of the successful interactive installations that took place during the festival of story of light in Goa. 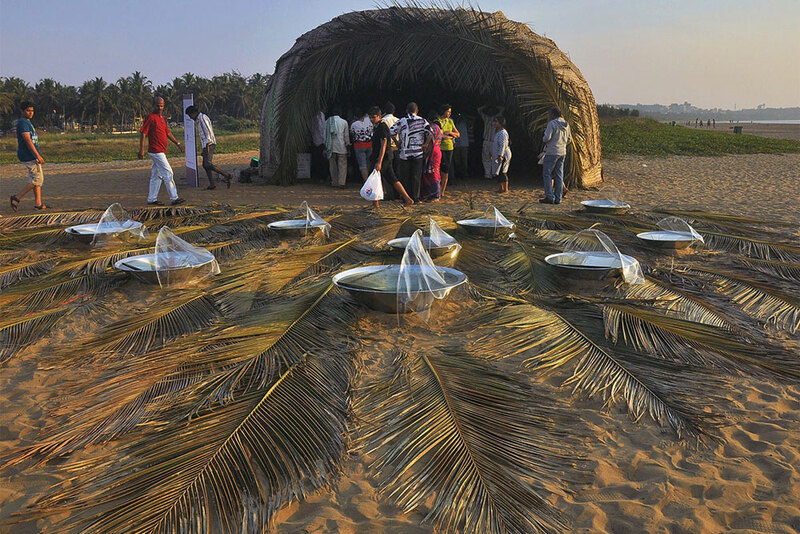 The installation was created at the open area on the beach. 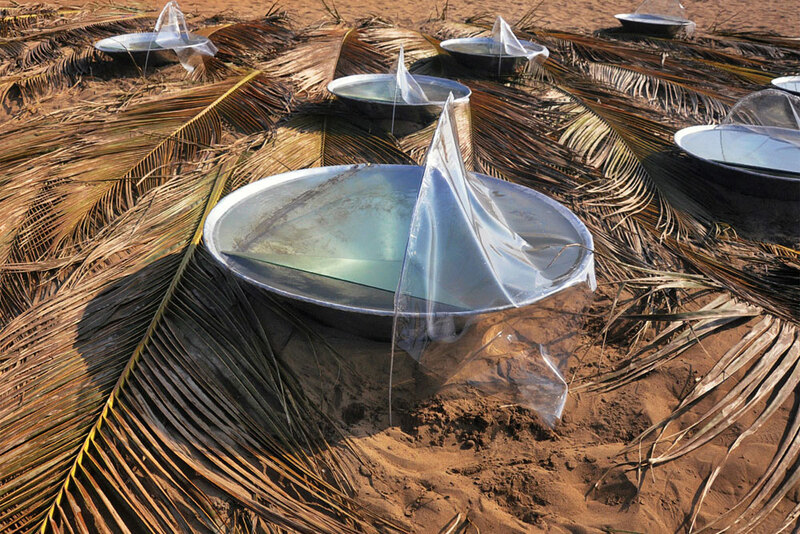 The artist had to make a particular arrangement with the use of thermoplastic to avoid heavy wind from creating the ripples on the water surface which causes the unclear and unstable spectrum on the hut walls. 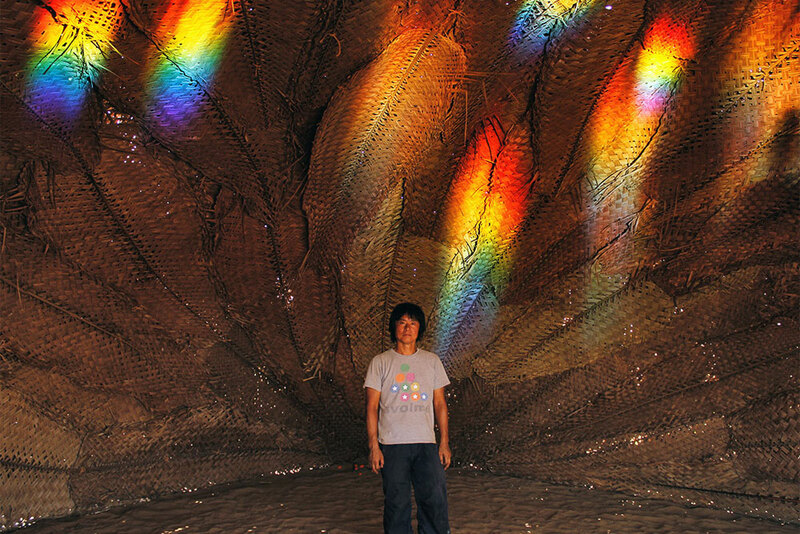 The installation artist Tsuneo Sekiguchi with his successful installation of rainbow hut, the spectrum of the rainbow can be seen on the behind wall. The installation was open to people throughout the day from morning to evening. Most of the material used was from nature except the vases and the mirrors. The chosen place for the installation was one of the most interactive and popular which took place at the perfect location to let people interact with their own ways. people to sit down and relax and admire the magic of rainbow light, meditate and meliorate from the confusion of the surrounding space. This installation uses music, several artistic tools and the energy of the colours generated from the encounter between sun and water to carry out research on how body and mind are affected by light. 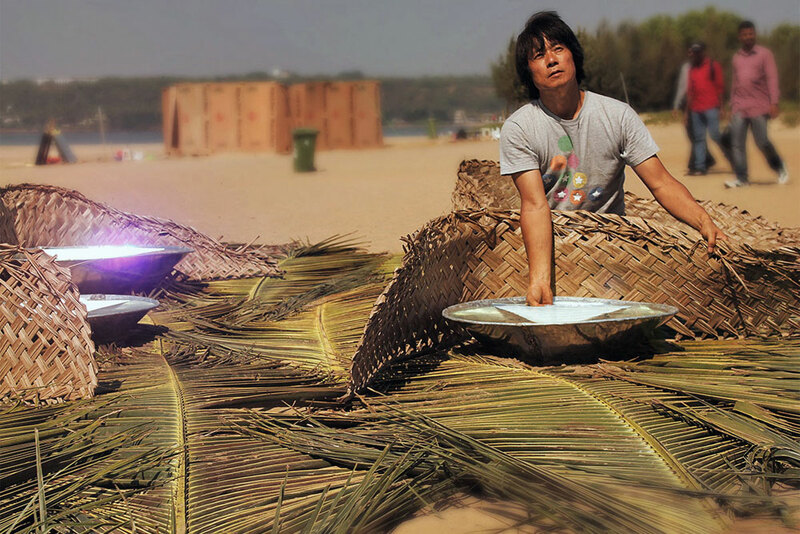 Tsuneo Sekiguchi, the installation artist has been creating rainbow huts in different sizes, shapes and materials for more than 20 years and has been invited to present his installations in some of the most important Japanese art events. 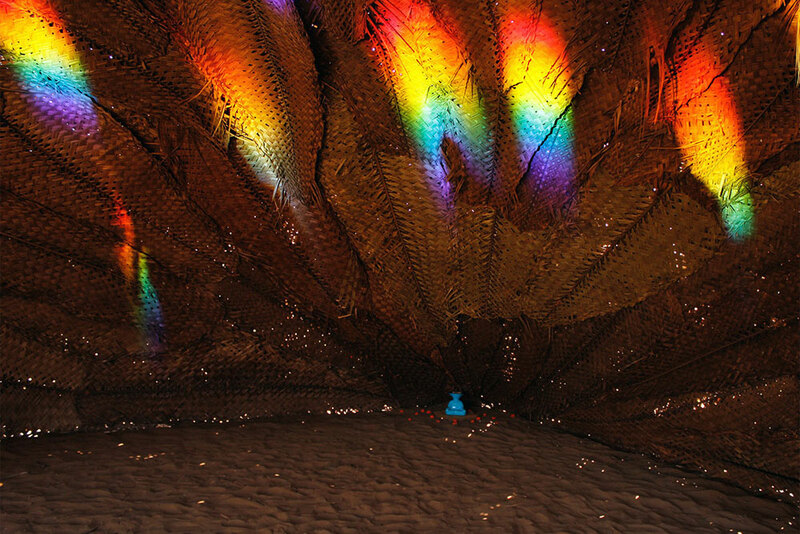 This Installation is mostly made out of natural materials that function as a dark and shaded screen on which rainbow refractions are projected through the use of sun light, water and mirrors. 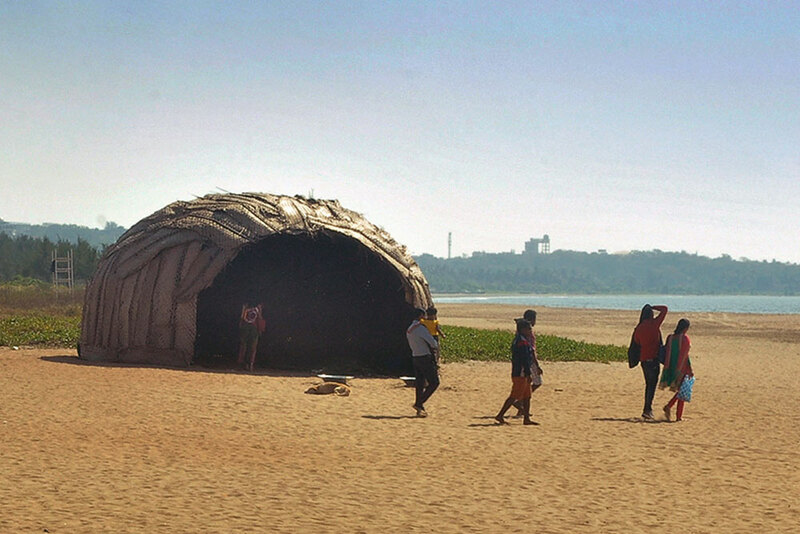 The Rainbow-hut wants to give birth to an empty space, a space of encounter. As the result of the coloured light coming into the hut, the rainbow-hut defines a space which didn't exist before and which is not codified by social-economical standard rules or by any predefined purpose. 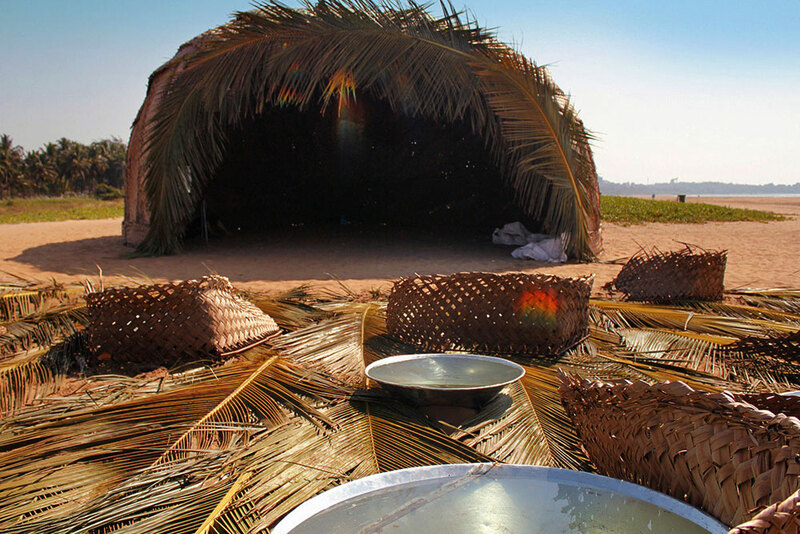 Different relationships and activities related to music and art take place in the hut but none of them is foreseen. They take place freely and spontaneously in this space of encounter.